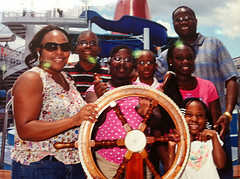 Families eager to plan an inclusive cruise vacation, have many frequently asked questions - Caribbean cruises. As the head of a family that has taken several Caribbean cruises, and as the webmaster on this site, I will answer some of your questions and get you ready to bring your family aboard a cruise ship heading to the beautiful islands of the Caribbean. 1. Which Cruise Lines offer Inclusive Cruise Packages to the Caribbean? 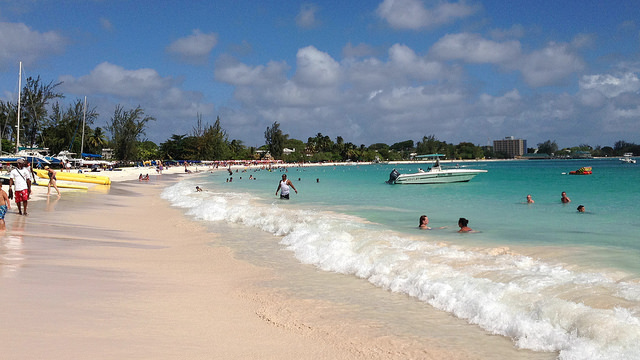 All major cruise lines that come quickly to mind, offer inclusive Caribbean cruise packages. These include: Carnival Cruise Line, Celebrity Cruises, Disney Cruise Line, Holland America, Norwegian Cruise Line, Princess Cruises and Royal Caribbean International. 2. Which Cruise Line has the Newest Ships to the Caribbean? Caribbean cruise lines are constantly building new ships to add to their already super fleets of ships to Caribbean islands. For example: Disney has just introduced the Disney Fantasy; Carnival recently added Carnival Horizon; Norwegian added Norwegian Escape and Norwegian Bliss; Princess Cruises added Regal Princess and Majestic Princess; and Royal Caribbean added the world's two largest ships to their fleet – Harmony of the Seas and Symphony of the Seas, and more recently, Quantum and Anthem of the Seas - smart ships. Additionally, cruise lines occasionally refurbish a ship to add more amenities and give it a newer look. Carnival pulled Carnival Destiny out of service at the end of 2012 and spent millions of dollars to give a brand new look and even a new name – Carnival Sunshine. What Travel Documents Do I Need to Cruise to the Caribbean? If you are a U.S. citizen on a closed loop cruise (one that leaves from and returns to the same U.S. port), you may cruise with a certified or notarized birth certificate and a government issued I.D. However, it is recommended that you travel with a passport, in the event something happens at sea and you must fly home. You must have a passport to enter the U.S. by airplane. International travelers to the Caribbean must have a valid passport and a multi-entry US visa (there are some visa exceptions) to get into the U.S. to board your ship and then from the ship back to the U.S. Note: International travelers also need to check for entry requirements for countries on the cruise's itinerary. 1. When is the Best Time to Book a Caribbean Cruise? It is best to book a cruise 6 months or earlier for a 7-day or longer cruise and 4 months or earlier for a shorter itinerary. Doing so ensures that you get the earliest rate (Early Saver Cruise Rate on Carnival), which is generally the lowest. 2. Where is the best place to book a Caribbean Cruise? You may book your cruise directly with a travel agent (highly recommended), the cruise line of your choice, or an online travel agency. In fact, cruise lines encourage you to “see your travel agent.” The travel agent will offer the same price as the cruise line, but in some cases, the agent is willing to forgo a part of the commission from a cruise booking to offer you a bonus or reward for booking with them. 3. Can you pay for the cruise in installments (over certain period)? Generally, if you book your Caribbean cruise certain number of months before sailing (no. of months depends on length of cruise), you have the option of submitting a deposit and paying the balance at a later date – which is given to you. 1. Which Cruise Lines offer the Best Cruise Package Prices? You will find the best cruise package prices consistently with Carnival Cruise Line. 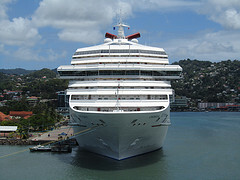 Carnival sails from just about every U.S. departure port to the Caribbean and offers the best prices. However, it helps to compare prices. You may get lucky and find a similar cruise package costing less on Norwegian Cruise Line. Royal Caribbean International's cruise package prices are more than Carnival’s and Norwegian’s. Disney Cruise Line's packages are the most expensive of the three. 2. How Much Will a Caribbean Cruise Cost My Family? Cruise prices vary. They depend on the size of the ship, the length of the cruise, the type of cabin you choose and the number of people per cabin. You will pay more on a bigger ship and for a longer cruise (ex. 7 days vs. 5 days). You will also pay more for a suite, balcony or oceanview cabin than for an interior cabin. If you can fit four members of your family in one cabin, you will pay less than if you put four people into two (2) separate cabins. Additionally, as noted elsewhere, you will pay less for a cruise, if you travel in the fall than in the summer. 3. What is Included in a Caribbean Cruise Package? I love to say that every thing that you and your family need for a great vacation is included. Your cruise package includes: accommodations, multiple meals (some juices), entertainment and activities on board ship. When you purchase your family’s cruise package, you do not need to spend another dime on board - except for gratuities, which are generally added to your onboard account. 4. Are Cruise Package Prices the Same all Year? Actually, you can find the best cruise packages during the fall. If you do not have kids or your family contains just adults, the best time to cruise to the Caribbean is any time from September through early December, except Thanksgiving Week. 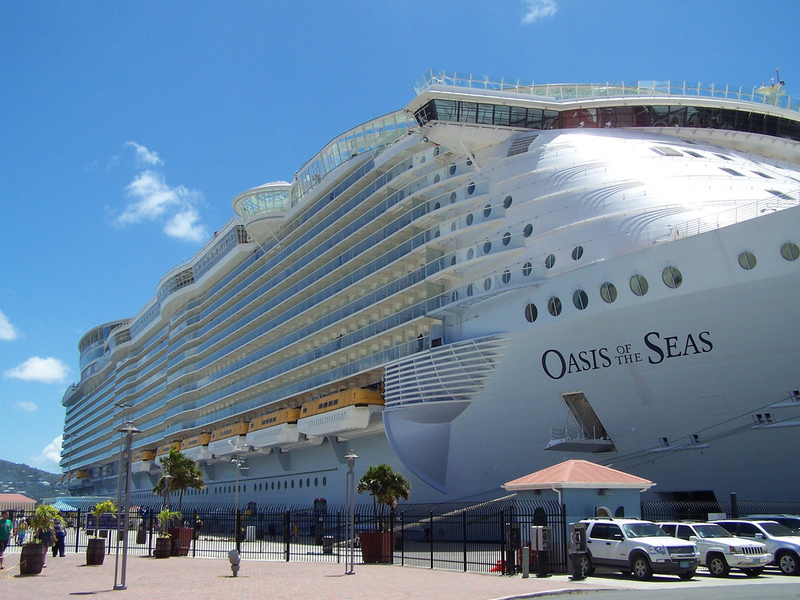 Cruise packages are most expensive during the summer, winter, and spring break months. If possible, avoid traveling near any holiday as prices increase at that time. 1. What types of Cabins Are Onboard Ship? You have a choice between suites, balcony cabins, oceanview cabins or interior cabins. Suites and balcony are more spacious accommodations, but they cost more - especially suites. Interior cabins have no window to the outside and are the least expensive. 2. What are Some Activities/Amenities Available Onboard Ship? Activities/amenities on board the ship include: pools, hot-tubs, fitness centers, jogging tracks, mini-golf, reading rooms, art galleries, lounges with performances, a huge theater for shows, and much more. The preceding activities/amenities are all free. You may choose to pay for a spa treatment too. 3. Are there Special Activities for Kids Onboard the Ship? Yes. Each cruise line provides well-trained professionals who supervise your children in various activities onboard ship. Activities are educational as well as entertaining. Older kids have basketball courts, Ping Pong tables, game rooms, discos, etc. (not all amenities are found on every ship). Your children have enough to do onboard! Are Shore Excursions included in the cruise package? No. You must pay for those separately. You may book your shore excursion before you set sail, at the ship’s “Excursion Desk”, or wait until you arrive at the port of call to book an excursion off the ship. We have found that it is less expensive to book certain excursions off the ship – especially tours, beach trips, or shopping trips. Is Cruise Gratuity Mandatory Onboard Ship? Cruise gratuity is arbitrary with some cruise lines, such as Carnival Cruise Line, Norwegian Cruise Line and Princess Cruises. However, you can ask for an adjustment to what is charged. See our cruise gratuity rate page. On the other hand (at the time of writing this), cruise gratuity is optional on some cruise lines which offer a guideline of what to pay. What are Some Ways to Save on a Caribbean Cruise? 6. Before you sail, have your travel agent check to see if the cruise price has fallen. If it has, you may get the difference in price as onboard credit. These are just some of the questions we have heard. Use the Facebook Comment box below to send us any other frequently asked questions about Caribbean cruises that you may have. What's listed above are just some of the questions we have heard.